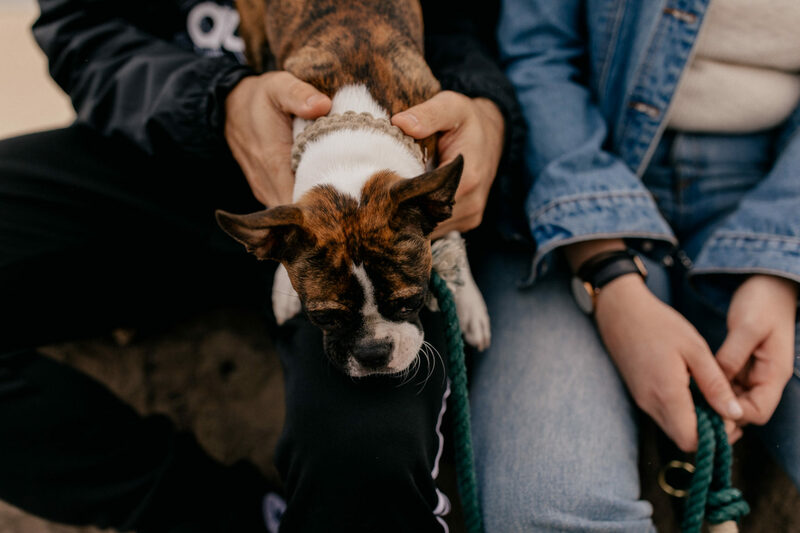 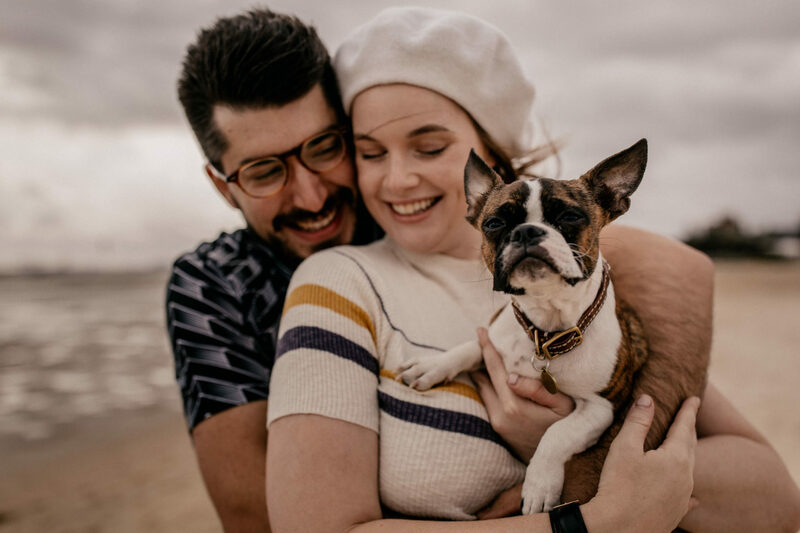 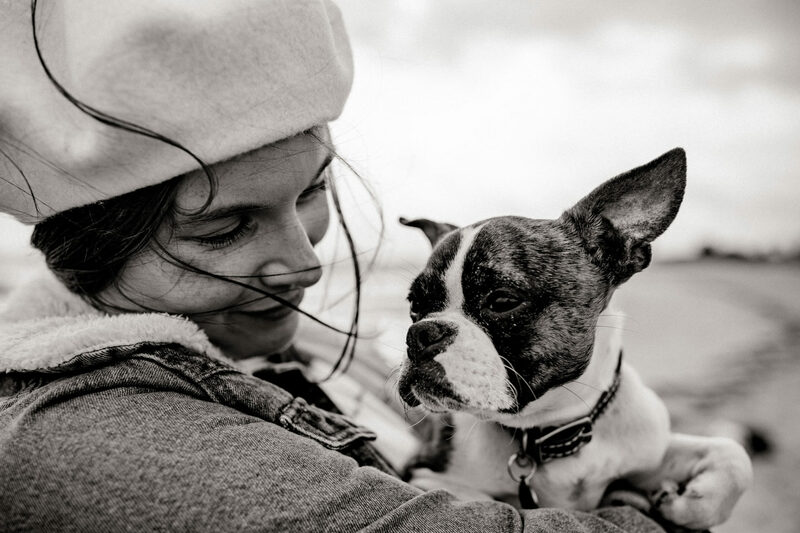 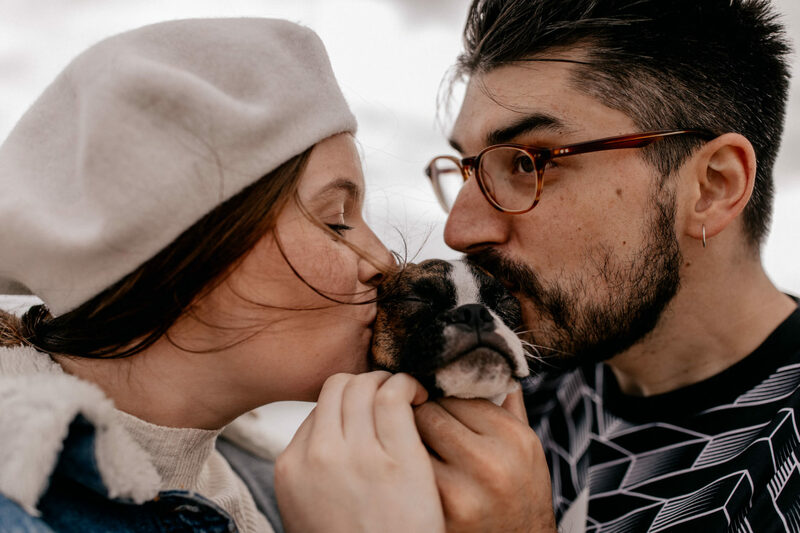 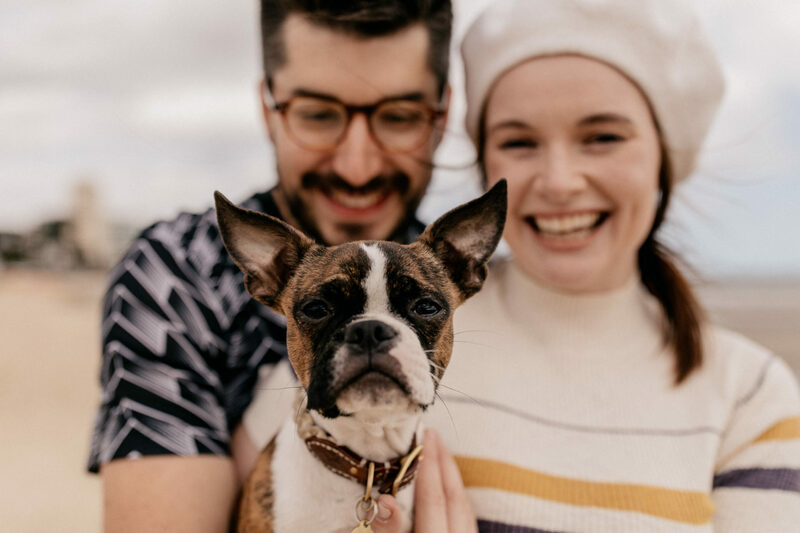 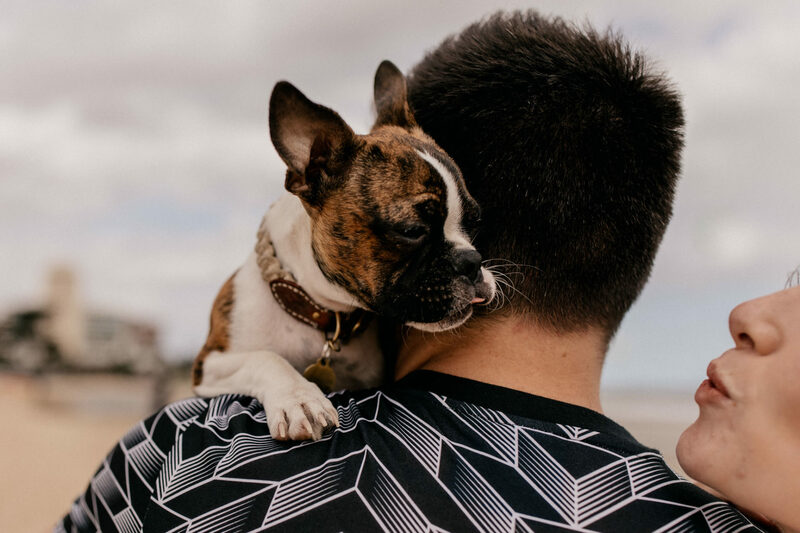 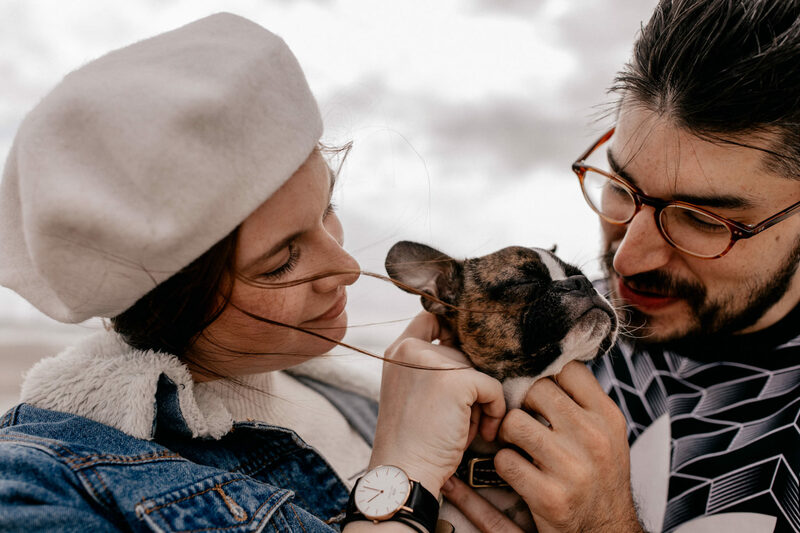 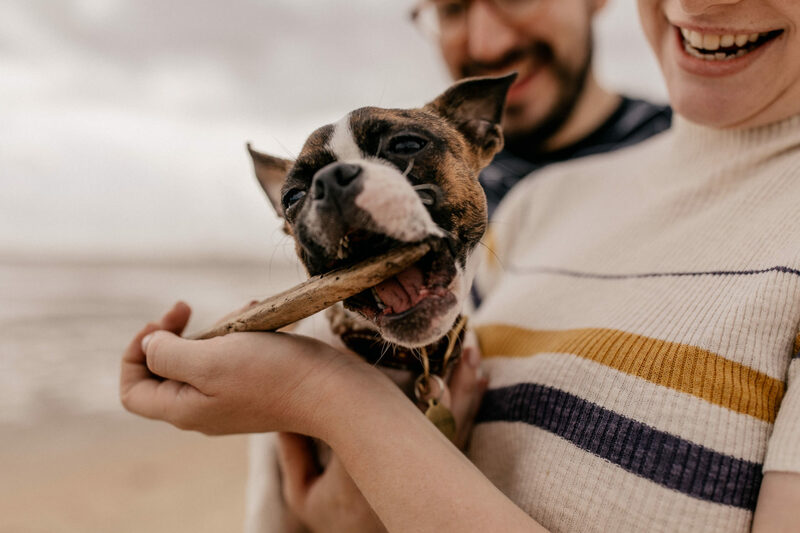 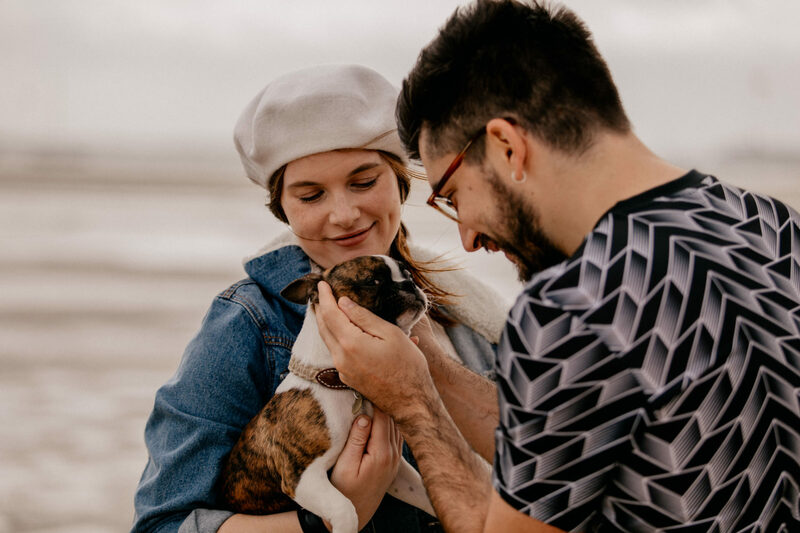 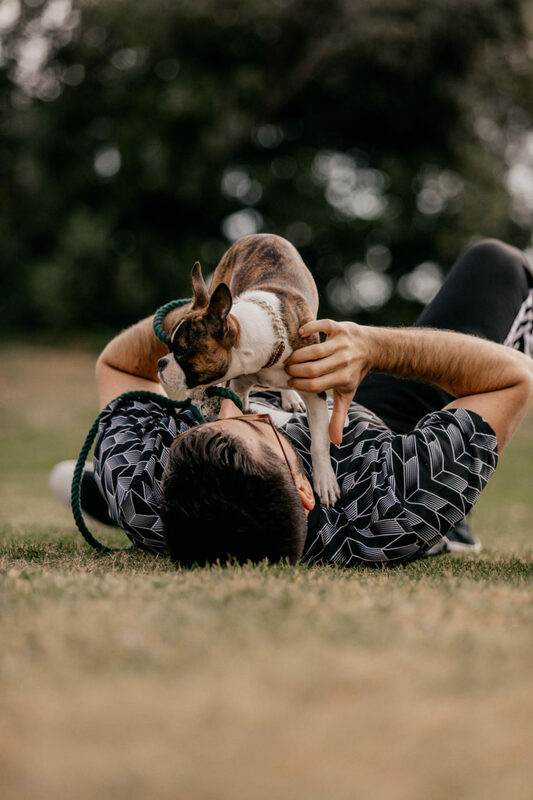 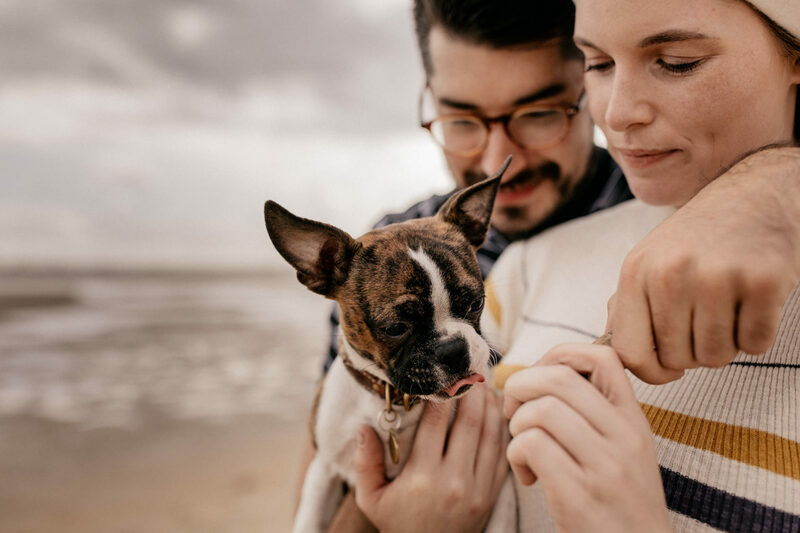 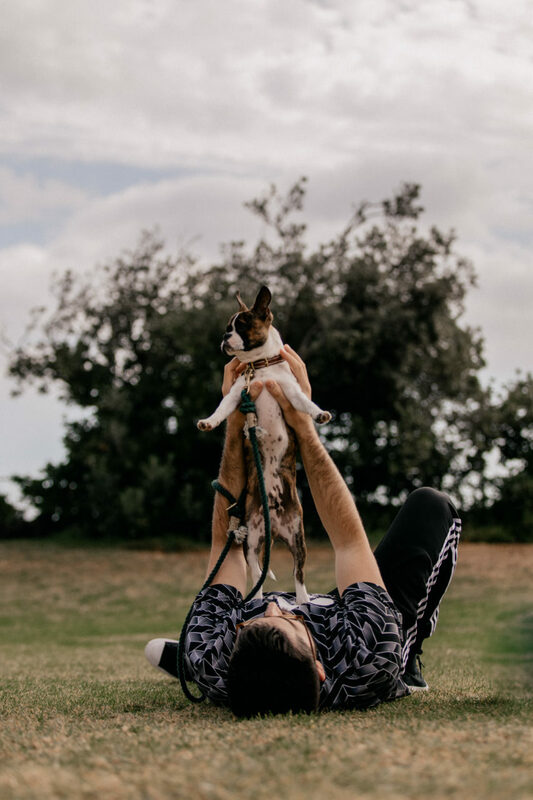 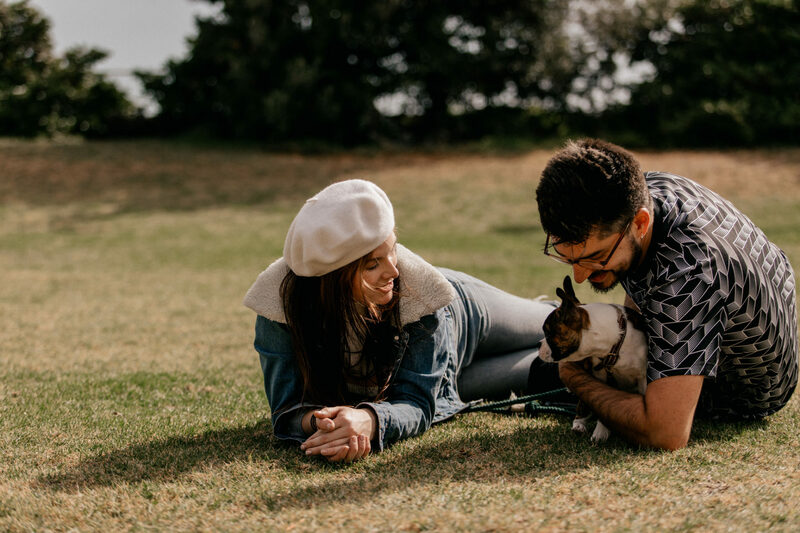 I must admit – during the session I shot with Ally and Ben and their newest addition to the family, Chester, I might have taken more photos of the dog than of humans but that’s ok. 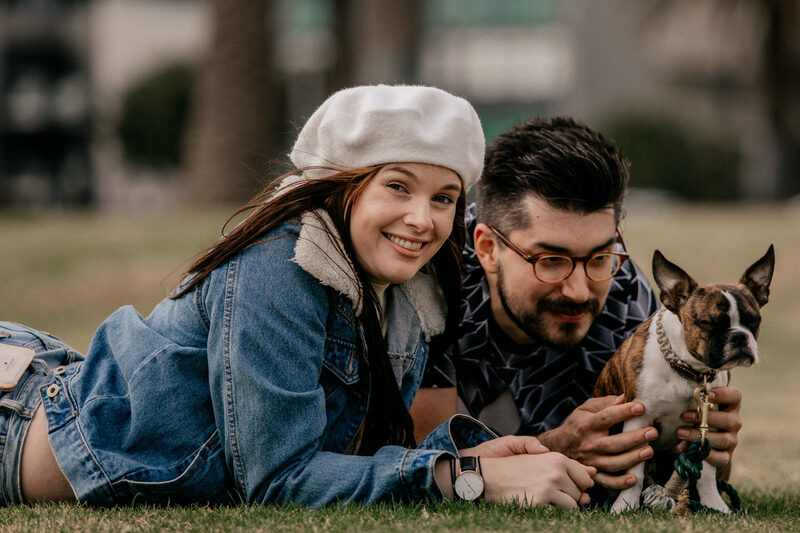 The three of us are totally crazy dog people and we agreed on dog photos being waaaaay more important than photos of humans. 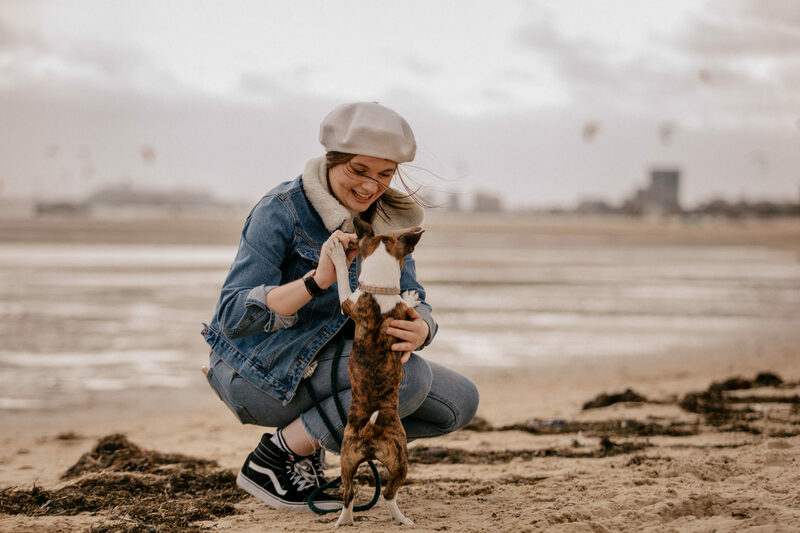 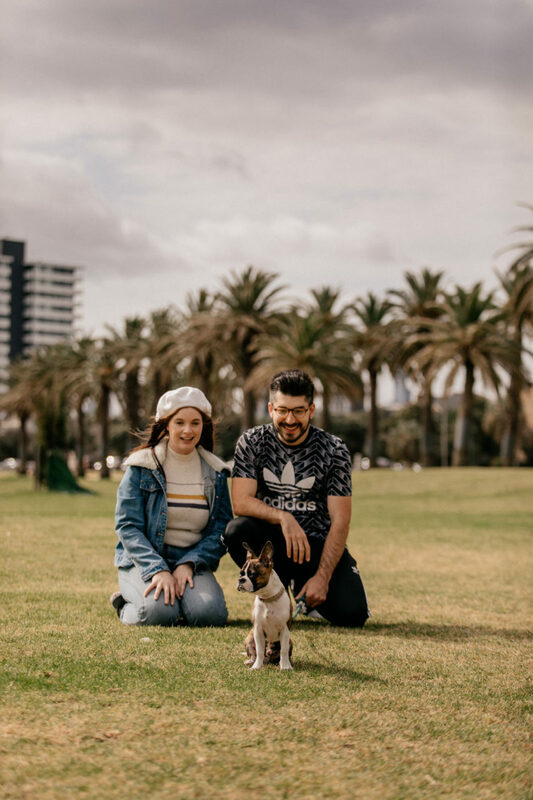 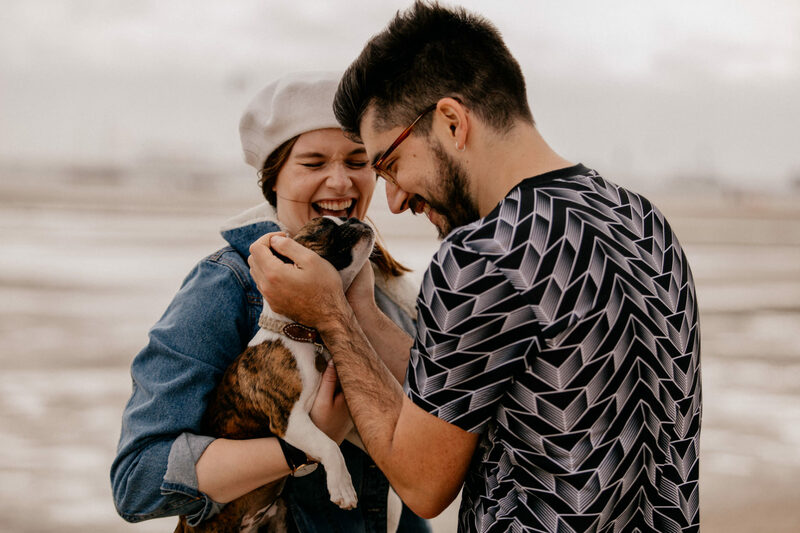 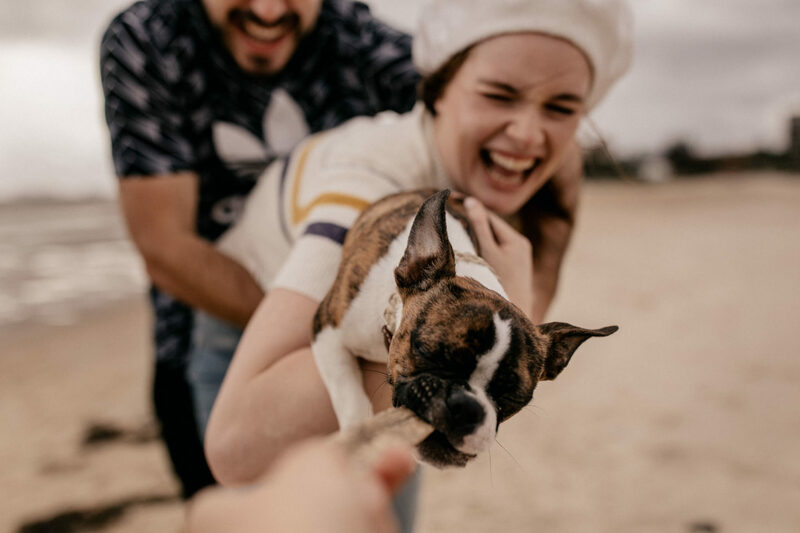 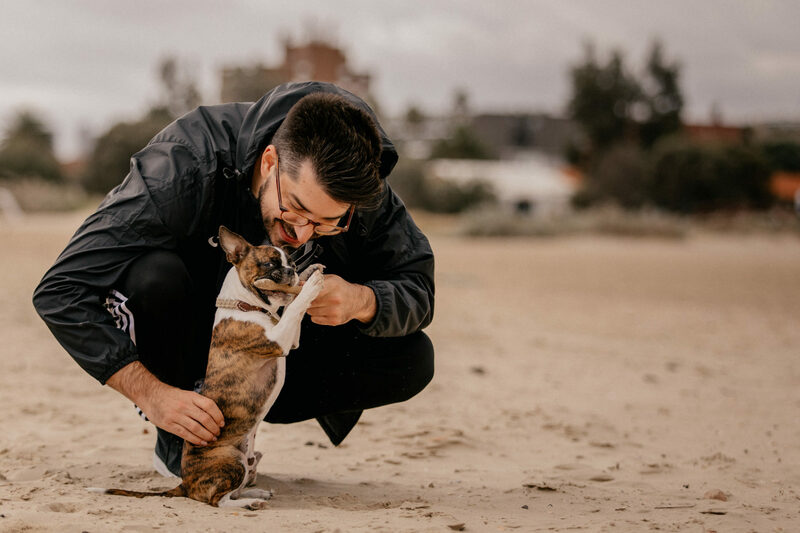 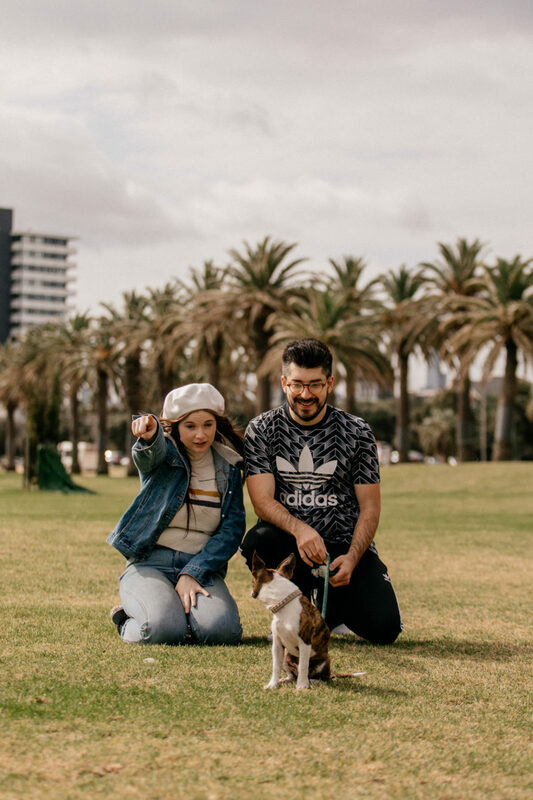 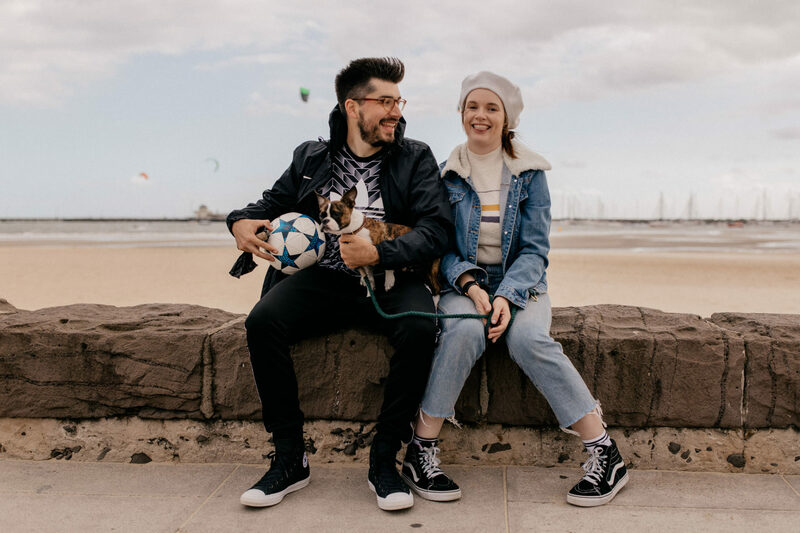 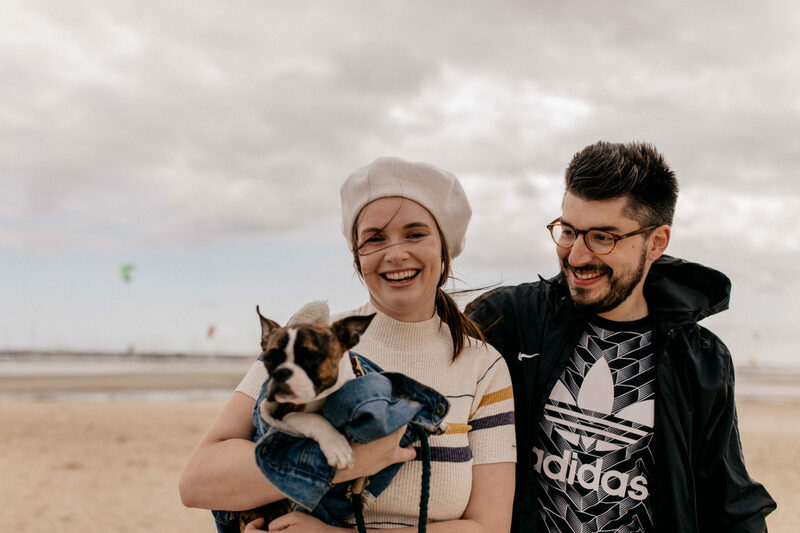 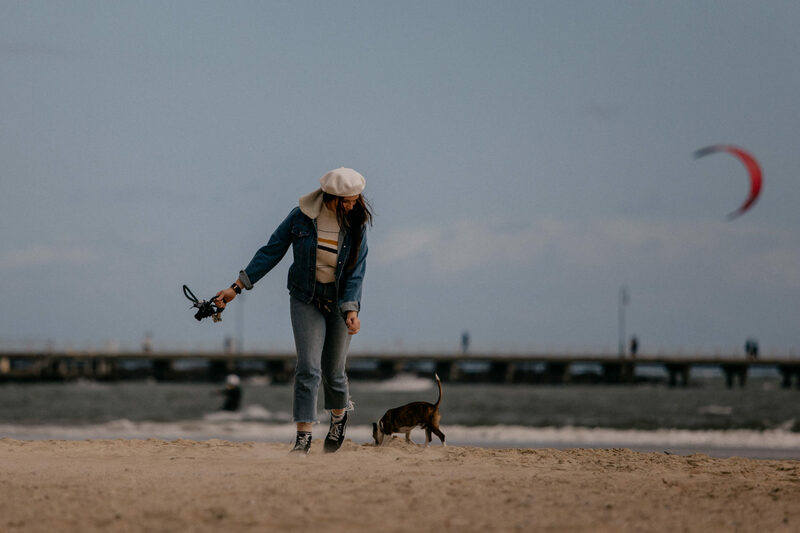 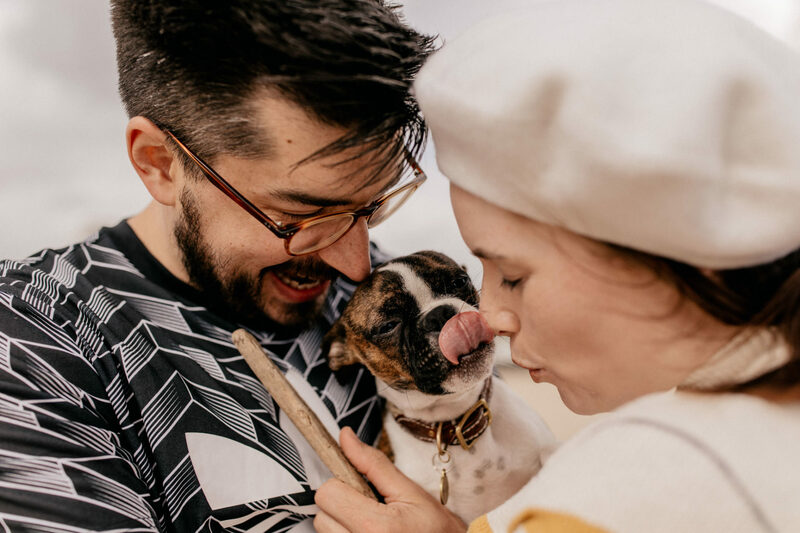 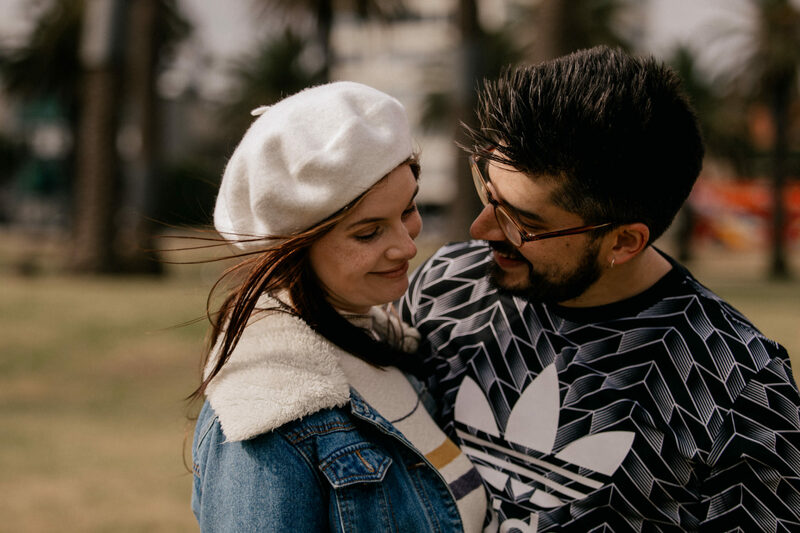 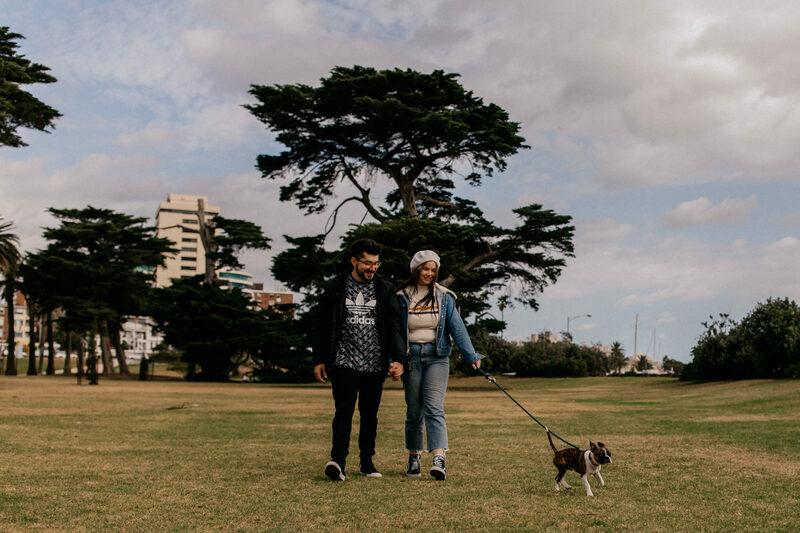 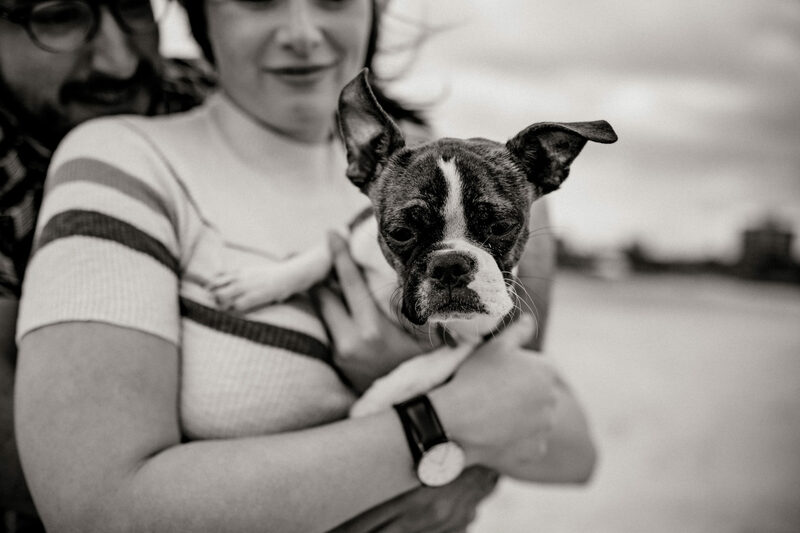 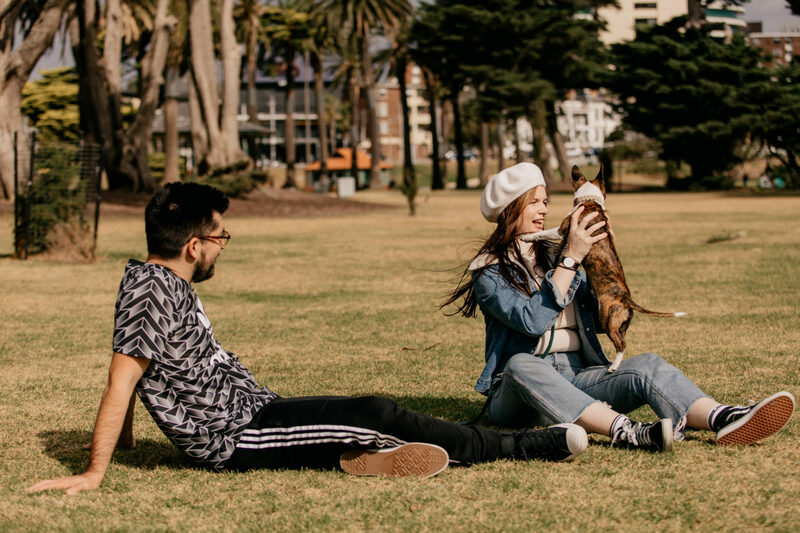 I met Ally and Ben last year for an early morning In Love Session at Brighton Beach…we were confused when crazy swimmers went out for their morning dip at 6amand tried to pet every dog on the beach – we instantly connected. 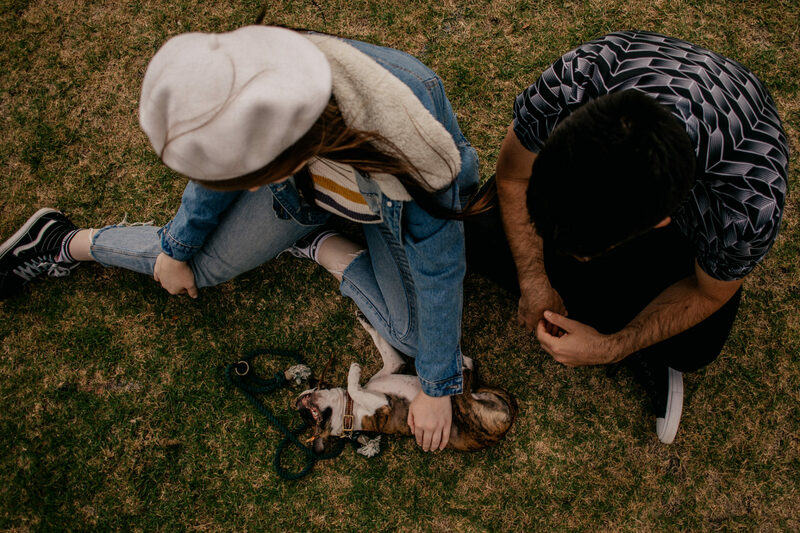 So about a year later I call these beautiful humans friends and I kid you not: I was highly excited when I saw on Instagram a few months ago that they got a dog. 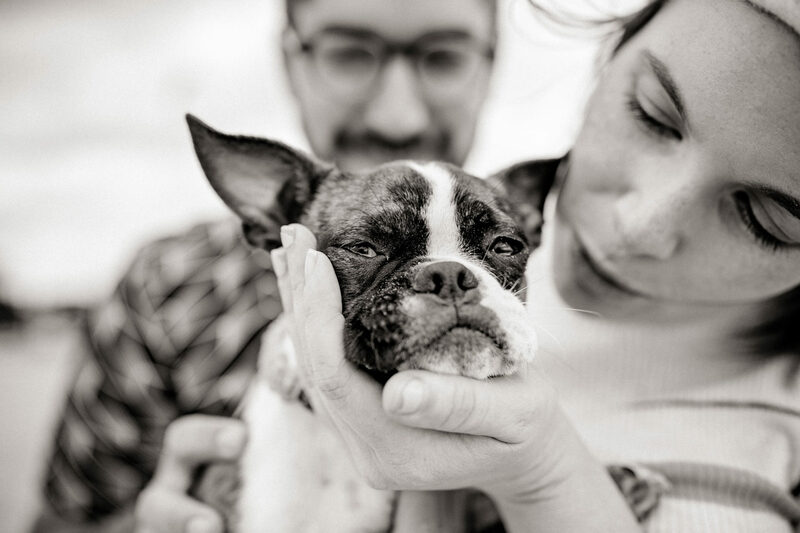 A tiny, cute, amazing little dog!! 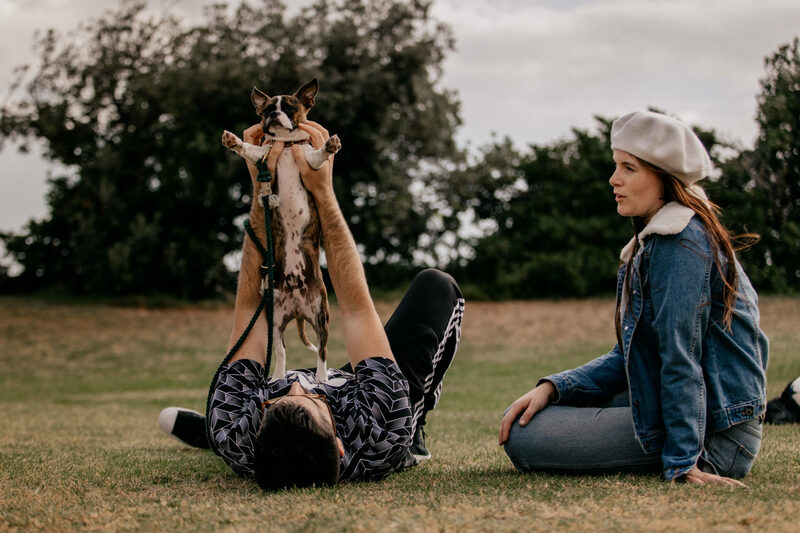 And us being dog crazy (well normal caring dog people I would say but some tell me different) we totally knew that they need new photos with Chester.